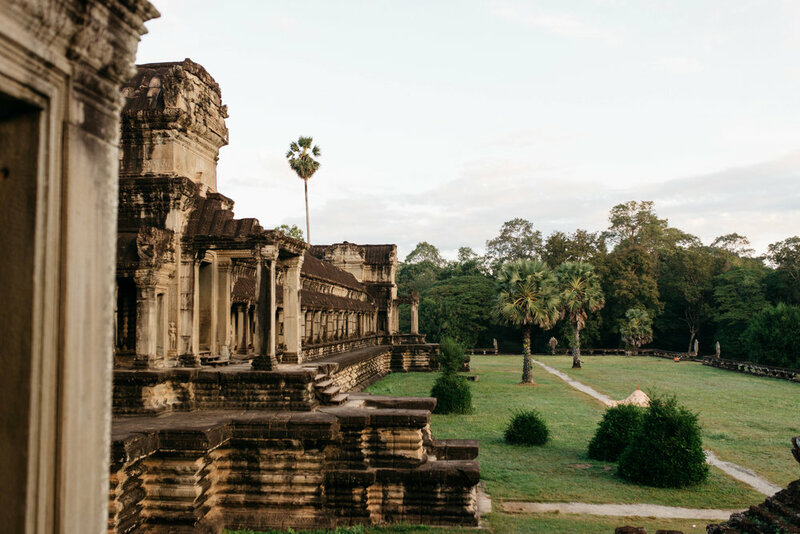 Siem Reap is home to the temples of Angkor, which is a huge tourist attraction worldwide. Sadly due to this tourism market it seems the town (near Pub Street) is geared towards tourists, and a lot of the Cambodian culture can be more difficult to find. However, you'll likely meet locals who are so kind they'll feel like family by the time you leave. 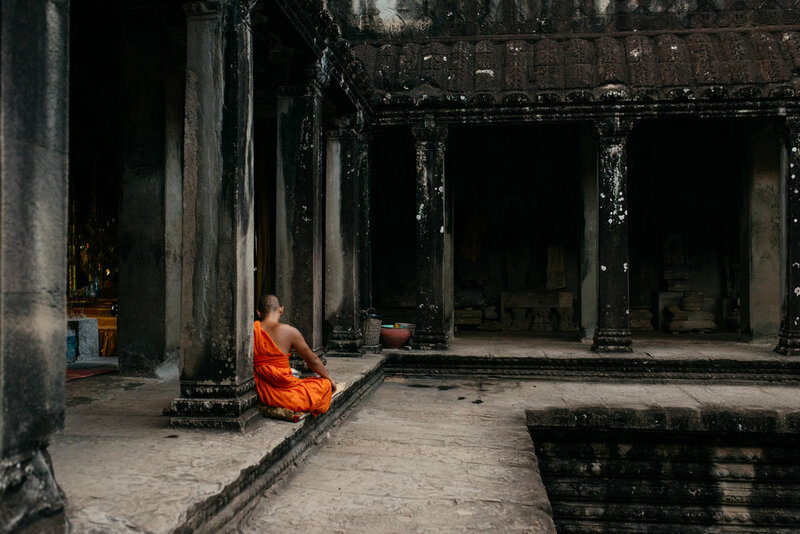 DO visit the temples in Angkor. You can coordinate a tuk tuk to take you to Angkor Wat at sunrise. The driver will pick you up around 4:30 AM, take you to buy your entrance ticket (approx. $20 USD), drop you off at Angkor Wat to witness the sunrise along with hundreds of other tourists, then drive you between a variety of different temples. 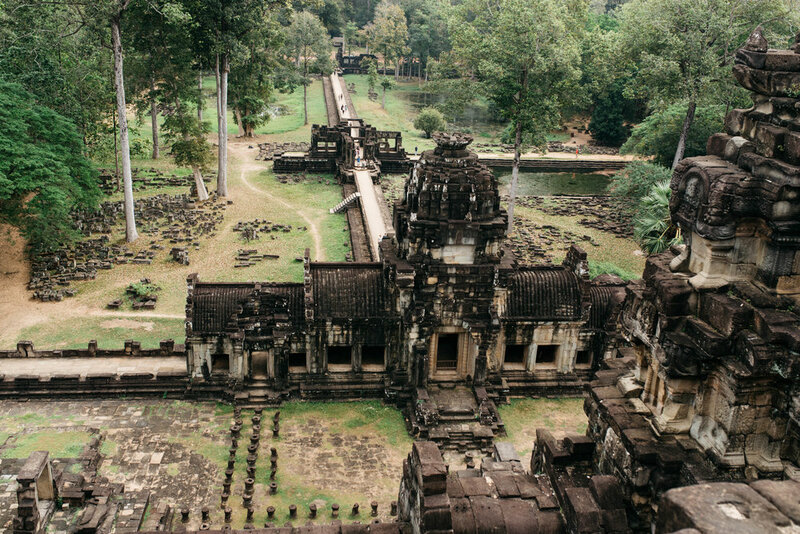 The temples you'll see vary depending on your preference and whether or not you do a half or full day tour. We did a half day small circuit and were able to see Angkor Wat, Angkor Thom, and Ta Prohn. For us a half day was plenty, but for those who are more interested in history we've heard multiple days can be spent at Angkor. Get a massage or manicure/pedicure. You can find 60 minute foot/leg massages for $1.50 USD. EAT traditional dishes such as lok lak (meat, rice, fried egg) and amok (coconut-based curry). Try the Cambodian Pumpkin Melody at Chamkar. The flavors are fabulous and the atmosphere is quiet compared to most restaurants on Pub Street. If you're craving a more Western style meal, eat breakfast or lunch at Sister Srey Cafe. We loved the fresh smoothie bowl and the tahini salad. The restaurant is cutely decorated and the location is in a more bohemian area of town. DRINK anywhere on Pub Street, where happy hour seems to last all day! You'll be able to find draft beer for $0.50 USD, pitchers of beer for $2 USD, mixed drinks for $1.50 USD, as well as buy one get one free deals. Some of our favorite bars included Angkor What? Bar, Miss Wong Cocktail Bar, and Laundry. CAFFEINATE with local Cambodian iced coffee and sweet milk. These iced coffees are some of the most delicious we've ever had! We often enjoyed them in the cute atmosphere (with great wifi) at New Leaf Eatery. STAY at Angkor Ry Boutique. This is a family run hotel located in a quiet area approx. ten minutes walking distance from Pub Street. The staff is incredibly friendly and the rooms are clean/cozy. 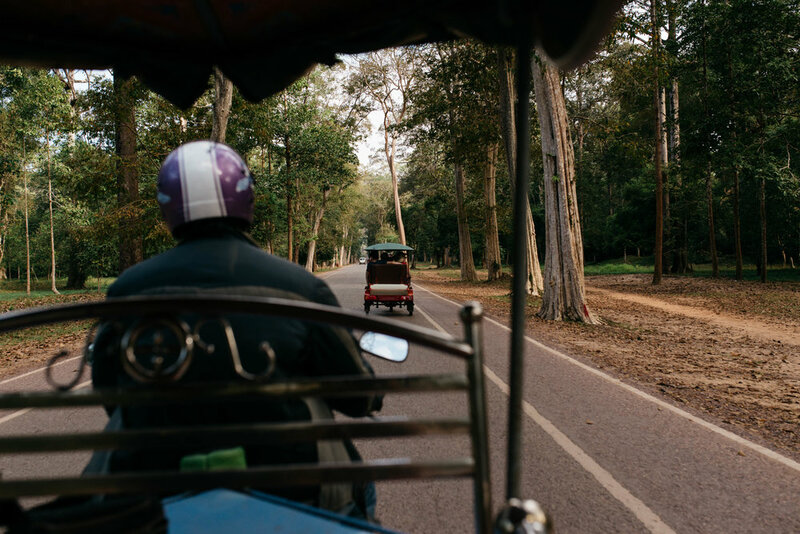 CRUISE by tuk tuk or on foot depending on where you are headed. Tuk tuks are easy to find in Siem Reap. KNOW you'll need a visa to enter Cambodia. You can get and pay for one when you arrive at the airport or apply for it in advance of your arrival. For us, a "tourist visa on arrival" cost approx. $30 USD each. Also know that near Pub Street most prices for food/drinks, souvenirs, etc. are advertised in USD, not the Cambodian Riel.